Featuring a crisp design with a predominance of purple that adds style, Bao Casino celebrates the Chinese tradition. Inspired by Oriental folklore, the venue is a full online entertainment hub where Aussies can enjoy a large selection of top games, Crypto games included. Bao Casino offers a plethora of progressive jackpots with real-time winnings. The numerous video slots and table games played against RNG opponents, live casino and crypto games keep the fun going 24/7. The welcome package is rewarding and the quest players can go on will bring them an expended set of promos. The convenient mobile gameplay adds more to the experience. This Boa Casino review would not be completed without details on the game selection, website design and the biggest software providers. We had a nice surprise discovering a well-structured platform that focuses on ancient Chinese art, folklore and tradition. 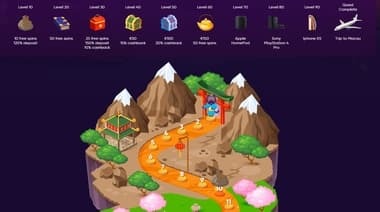 While the theme of the casino might not be immediately noticeable upon joining the venue, players who will take a look at the Quest map will immediately notice specific Oriental elements: panda bears, traditional Chinese homes, Budha statues and a lot more. The traditional and subtle elements of design are mixed with a modern-day approach. The Homepage welcomes players with a pleasant purple-shaded design with clear and easily-accessible menu categories. Popular: Aztec Magic, Fruity Sevens, Magical Wolf and many more. All games can be tested in their demo version to get better acquainted with their gameplay, rules and feel. Other game software providers displayed on the website include brands like Netent, Play'n'Go, playtech, Novomatic, Quickspin and others. 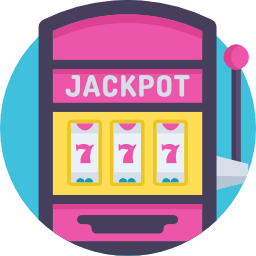 The site offers a wide array of progressive jackpot slots with their winnings tracked in real time, which is highly stimulating for pokie lovers. Roulette and other table games lovers will also find plenty of solid options and fresh titles that they may have never tried before. Take a look at the additional bonus information found on the casino's website for more details. No casino review could be written without mentioning the available deposit and withdrawal options available. Bao Casino enables players to use classic banking options, as well as the more recent cryptocurrency alternative. Withdrawals and deposits can be completed using: Neteller, Skrill, Visa, Mastercard, paysafecard, Wire Transfer, Neosurf, Bitcoin, Bitcoin Cash, Dogecoin, EcoPayz, Ethereum, iDebit, instaDebit, Litecoin and others. Boa Casino is owned and operated by Direx N.V., a company registered and established under the laws of Curacao and its wholly owned subsidiary, Direx Limited, registered address Stasinou 1, MITSI Building 1, 1st Floor, Flat/Office 4, Plateia Eleftherias, Nicosia, Cyprus. Direx N.V. is licensed and regulated by Antillephone N.V. Direx N.V.’s registration number is 131879 and its registered address is Heelsumstraat 51 E-Commerce Park, Curacao. The venue is powered by trustworthy license software and relies on 128-bit SSL encryption for added security. The venue is also pro-actively involved in responsible gambling and it offers contact information for relevant support bodies. Players can benefit from customer support provided through email and live chat available 24 hours a day. Accepted languages: English, Spanish, German, French, Portuguese and Russian. Boa Casino is a new and interesting option for Australian players who love the Oriental culture and well-structured and safe platforms. It's worth a try! The Boa Casino welcome bonus is an excellent addition to a new player's bankroll, as it matches a first deposit with a 120% welcome bonus up to AU$320. The minimum deposit is AU$15. Once we were done quickly registering our new player account by providing a valid email address and a password, we were able to top it off and get the welcome bonus on the spot. The casino offers a maximum of 20 free spins for deposits of minimum AU$15, with the maximum win of AU$80. We were able to collect the free spins in the Bonus section of our account.